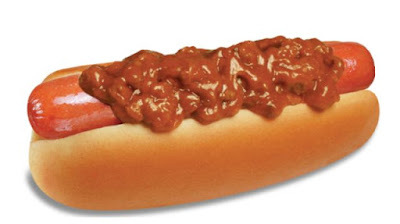 Wienerschnitzel will be celebrating their 55th anniversary this upcoming Monday, July 11, 2016, by offering their Chili Dogs for just 55 cents all day. Also including in the promotional pricing are Mustard Dogs and Kraut Dogs. The three hot dogs are regularly around $1.50 or more each. The offer is good at participating locations for up to 10 hot dogs on Monday, July 11, 2016 only. All beef hot dogs and Polish Sausages are specifically excluded from the deal and cheese costs extra.